Are "Never Trump" Republicans gone from the GOP for good after 2018? Did the Brett Kavanaugh fight actually help Democrats? In the South, are bold-speaking Democrats alienating the voters they need? AL-SEN: Jeff Sessions may want his old seat back, but Republicans in the state say it's no slam dunk. 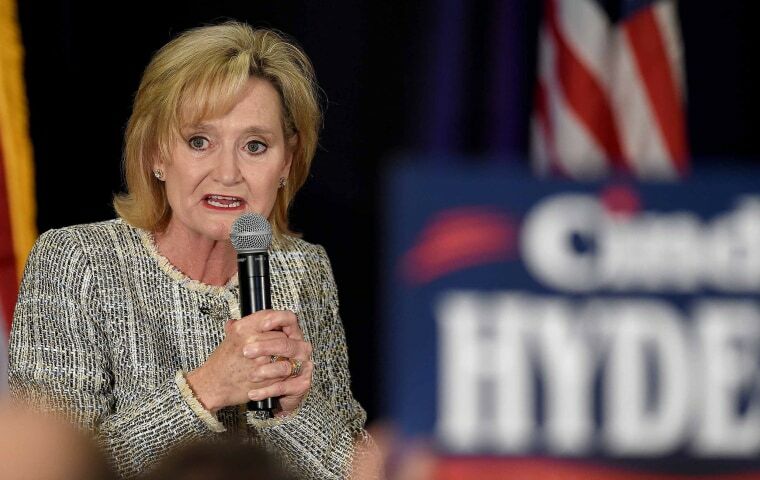 MS-SEN: Cindy Hyde-Smith is hoping for a boost from Trump's rallies for her in the state, writes the AP. POLITICO reports that some Republicans are on edge about the Mississippi race. "Segregation academies" are a remnant of racism in the South in Mississippi. NH: Famed NH Secretary of State Bill Gardner might be on the verge of an ouster. Here's the latest on where things stand with Democrats mulling presidential runs, via the Washington Post. The Al Franken scandal is looming over Kirsten Gillibrand's 2020 hopes, writes POLITICO. Kamala Harris may lose the spotlight due to Senate losses for Democrats. American authorities used tear gas on migrants trying to cross the border in San Diego. The president isn't happy with a "60 Minutes" depiction of family separation. The Trump administration is trying to bury its own report on climate change, writes the New York Times. Russia has attacked and seized three Ukrainian vessels in the Black Sea. Trump says he wants to reduce the deficit, but he also wants more spending, writes the Washington Post. Former Trump aide George Papadopoulos is heading to jail. Here's why Chief Justice John Roberts was so careful with his words in his rebuke of Trump. Nancy Pelosi and John Sarbanes write in the Washington Post that Democrats will work to "restore democracy." The New York Times previews the challenges looming for both parties in the lame duck session.